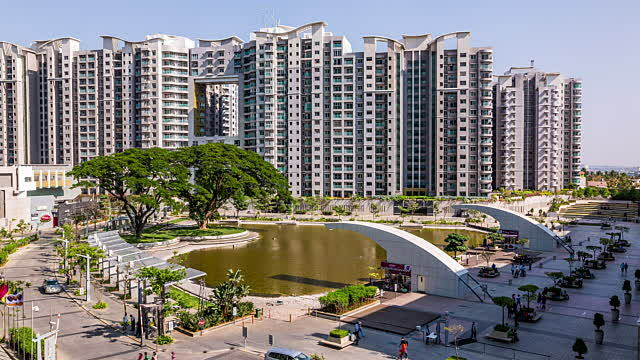 Brigade Gateway, located in Rajaji Nagar,Bangalore is Completed project of Brigade Group. Brigade Gateway, covering 40 acres that stretch from Malleswaram to Rajajinagar, will be the first Lifestyle Enclave in Bangalore and is a self-contained neighbourhood complete with club, mall, school, hospital, office building and 5-star hotel. Its 1200 apartments—set in a separate section of the enclave—are spread across a circle of residential wings enclosing landscaped courtyards.